Railroad Crossing – Westfield N.Y.
Walker Rd railroad crossing - Westfield N.Y.
One more railroad related image. 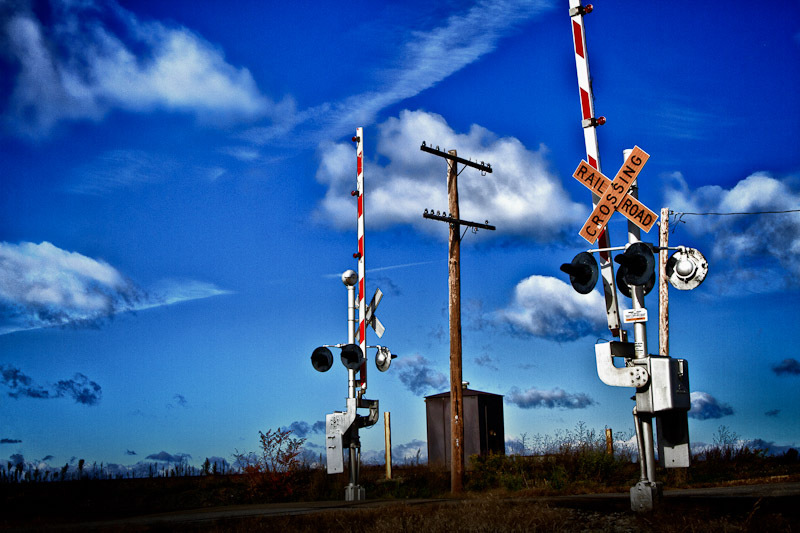 This image was taken at the Walker Rd crossing in Westfield N.Y. There was some work done on it in Lightroom 3 and plug ins to increase the whites in the clouds and enhance the blues in the sky also used the structure slider to sharpen things up a bit. Along the way I darkened down the foreground to keep your eye up in the sky and on the crossing guard equipment. Categories : Chautauqua County N.Y., nik software HDR efex, photoshop, Retouching, Westfield N.Y.